Having the right climate for growing is vital. Proven quality and competitive prices. All the equipment we sell is used and/or refurbished. Our quality control process is also rigorous, and we make sure all the equipment we sell is high quality. Contact us for any question. The C.A.P. 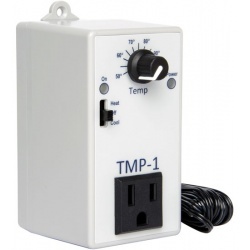 TMP-1 Cooling and Heating Thermostat allows you to automatically control the temperature within your growing environment. Easy to use, just connect your air conditioner, fan or heater then set the temperature that you wish to maintain. If that temperature is not maintained, the outlet turns on your equipment until the temp decreases/ increases to the set temperature by 5˚F. Change from heating to cooling with just a flip of the switch. Includes a 3 ft. remote sensor. Rated for 15 amps @ 120 volt. Control cooling or heating within your growing environment with the Autopilot Cooling Thermostat (APCET). 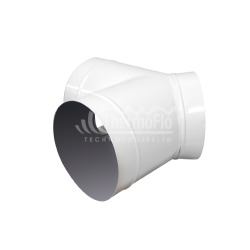 Choose different day and night temperatures automatically maintained by the built-in photocell. Current conditions and set-points are shown via the easy-to-read LED display. The C.A.P. 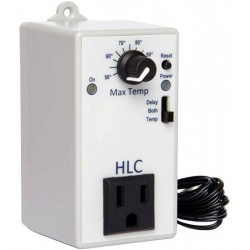 HLC High Temperature Shutdown constantly monitors your indoor garden temperature. If the temperature exceeds what you have set, the advanced HID lighting controller turns off your lights so that crop damage will not occur. Rated for 15 amps @ 120 volts. The unit can be used to either increase or decrease humidity levels by activating a humidifier to add humidity or an exhaust fan/ dehumidifier to reduce the humidity level. Easy to use and reliable! The C.A.P. 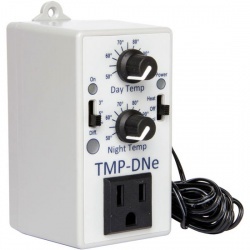 TMP-DNe allows you to control the temperature within your growing environment. You can set the day and night temperature independently. The Day-Night Temperature Controller can be set to either heat or cool. Just connect your equipment, then set the temperature that you wish to maintain. 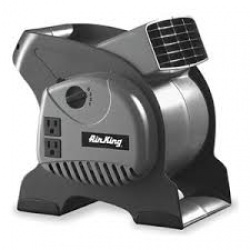 If the temperature varies from your setting, the outlet on the front is activated. The temperature differential can be set at 3, 5 or 7 degrees. Comes with a 12 in. remote sensor. 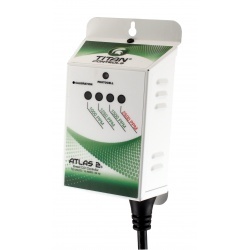 Atlas® 1 CO2 Monitor/Controller comes with a 25 ft remote sensor. It features adjustable set point and elevation levels, a built-in self calibration function and an integrated photocell that enables operation in daytime hours only, when the plants need CO2. Simple to use and easy to operate. 15 Amps/120 Volt/60Hz. 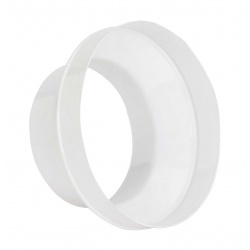 Replacement sensor can be purchased separately. The sensor comes factory calibrated for precise CO2 readings and utilizes low voltage technology to avoid Radio Frequency Interference (RFI) from electronic ballasts. 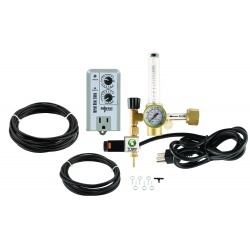 Can control both CO2 tanks or CO2 generators! Preset CO2 control at 1500 PPM. Built-in self calibration feature. Easiest to use CO2 Controller on the market. Simply plug in your CO2 generator or regulator and you are ready to go. 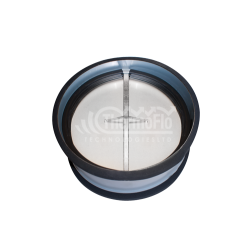 Built-in photocell allows CO2 enrichment only during daylight hours. Durable powder-coated steel enclosure. 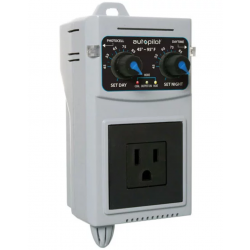 15 Amps maximum/120 Volts/60Hz. Patent No. D657,748. 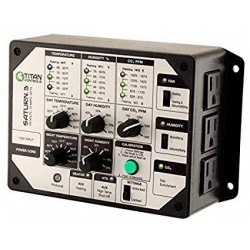 Easiest and most straightforward CO2 controller in the industry today! Controls and monitors CO2 from 0 to 2000 parts per million (PPM). CO2 enrichment or CO2 exhaust features. Easy to setup and operate. 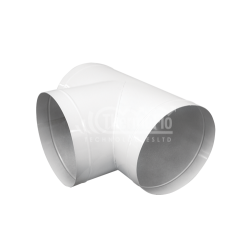 Enclosure resists dust, rust, and moisture. 5 Amps maximum/120 Volts/60Hz. CO2 enrichment, or CO2 exhaust features. 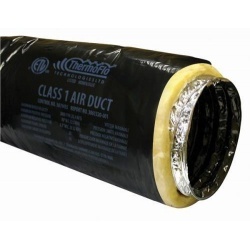 Durable enclosure resists dust, rust and moisture. 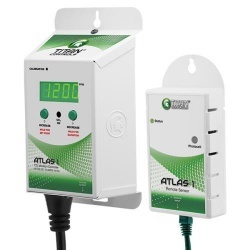 Compatible with Titan Controls® CO2 Controllers or other 120 Volt controllers and timers. 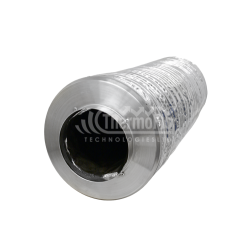 Precision accuracy flow meter - 0.5 to 15 SCF/hour. Features heavy-duty solenoid valve. High quality oilless pressure gauge. Includes two plastic tank washers and 12 ft of CO2 dispensing line. Brass construction for long-lasting dependability and durability. 1 Amp/120 Volts/60Hz. 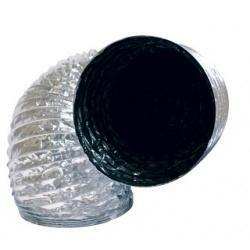 Use with CO2 Rain System (item #: 702711) for best results! This deluxe kit gives you all the necessary pieces to deliver plant enriching CO2 to your garden! 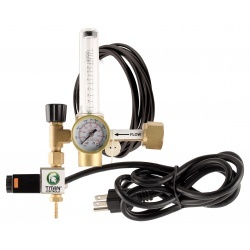 Included in this kit is: Titan Controls® CO2 Regulator, Titan Controls® Spartan Series® Repeat Cycle Timer, and the Titan Controls® CO2 Rain System. All the components for an efficient CO2 system in one box! 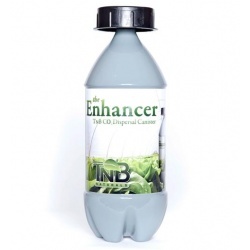 Temperature control (Day & Night) from 55° F to 95° F. Humidity control (Day & Night) from 20% to 80%. 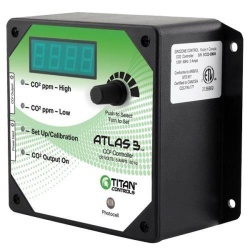 Built-in CO2 sensor and CO2 calibration features. Auxiliary heating and cooling options. 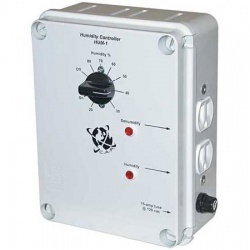 Enclosure protects internal components from dust, rust and moisture. ETL listed for use in commercial application. 12 Amps maximum/120 Volts/60Hz. 120 Volt/12 Amps/ 60 Hz. Ideal for homes, conference rooms, sound studios, etc.